Kameron Kirkevold’s practice focuses on complex guardianship, probate and trust matters arising under Washington State’s Trust and Estate Dispute Resolution Act (TEDRA). 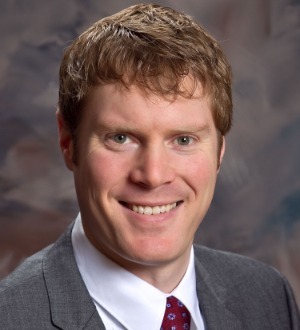 He joined Helsell Fetterman in 2010 after two years as an associate in his father’s firm of Kirkevold Law Offices, Inc., and has been a partner at the firm since 2016. Kameron works with professional fiduciaries, individuals, and families dealing with simple and complex matters arising out of Trust, Estate, Probate and Guardianship cases. Such matters often involve a wide variety of issues related to Capacity, Fiduciary Relationships, Family Disputes, Intimate Committed Relationships, Prenuptial Agreements, Will Contests, Community Property Issues, Family Trust Disputes, Contested Guardianships, and a myriad of legal matters related to property dispositions and TEDRA. Kameron is a native of Washington, having grown up in Yakima before moving to Seattle for college and law school.